I don´t just keep Mbunas. 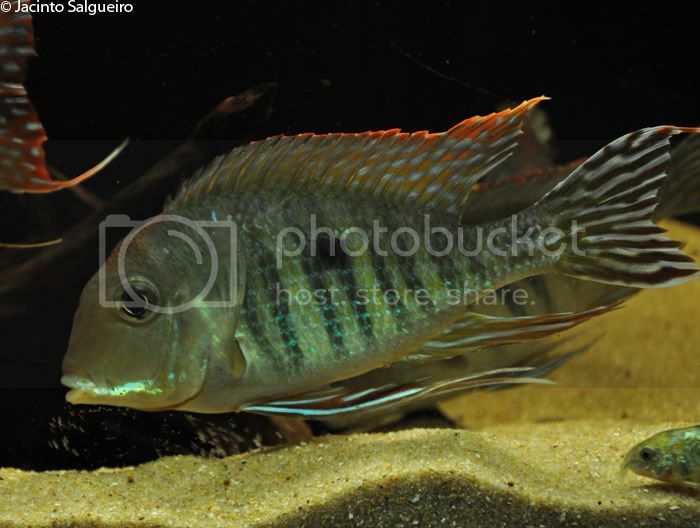 I'm fond of Geophagus and I have an aquarium with some individuals. 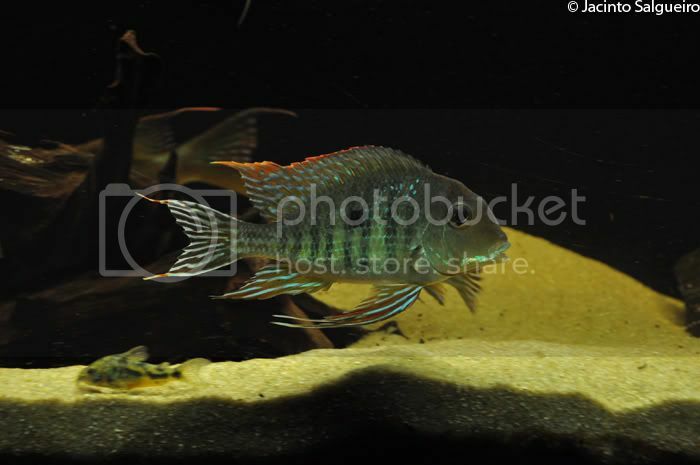 So, I'm would like to share with you some shots of my Geophagus sp. "orange head", Rio Tapajós. Very nice matey but nothing compares to malawis. A good fish breeder is one who puts their knowledge in their fish. Who put their time into growing them up to even slightly resemble their parents. It's different but they have their enchantment too. Cracking fish! Love those pelvic fins! Fry anyone? Just a few here! Undoubtedly, that is a lovely specie. If you want, one video in July 2010. 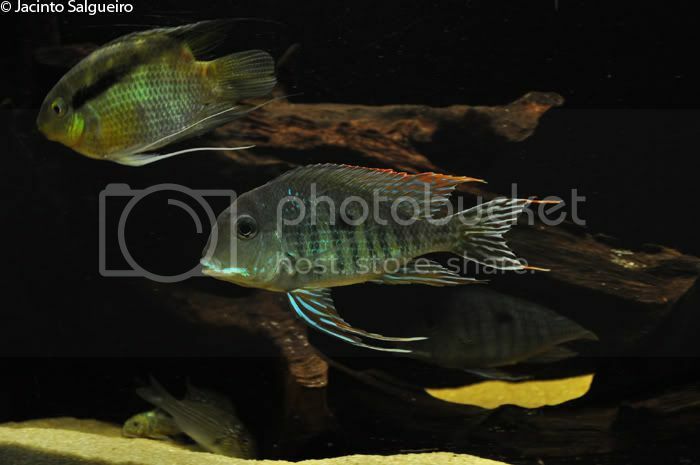 Very nice... and I see you had some of my favourite Congo Tetras in there too! 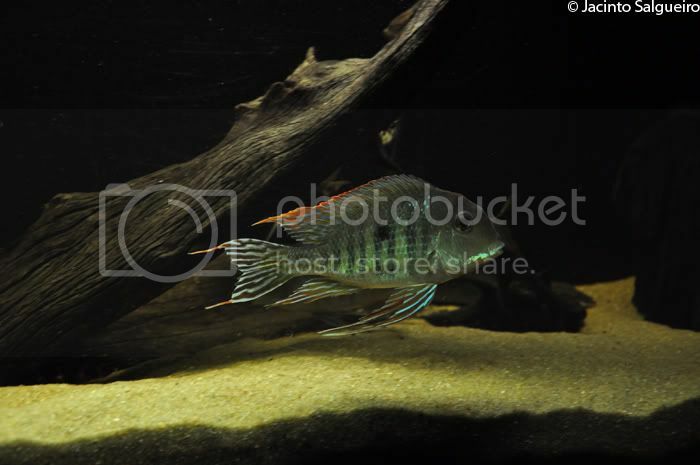 Nowadays I don't own Congo Tetras. 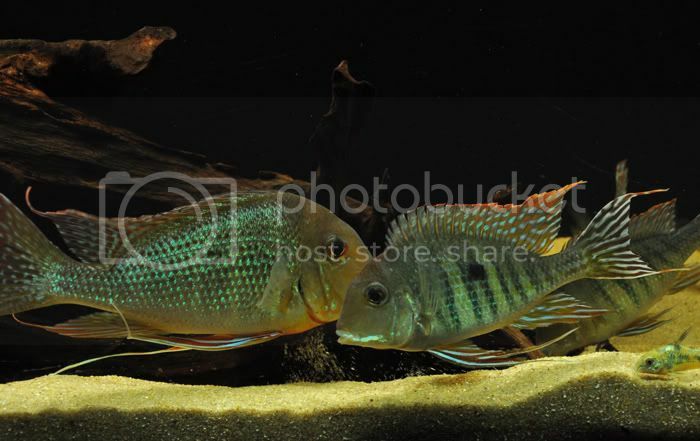 They was from an African River biotope. On the video, you can see the widower Pelvicachromis humilis. Here you ca see that dead project.